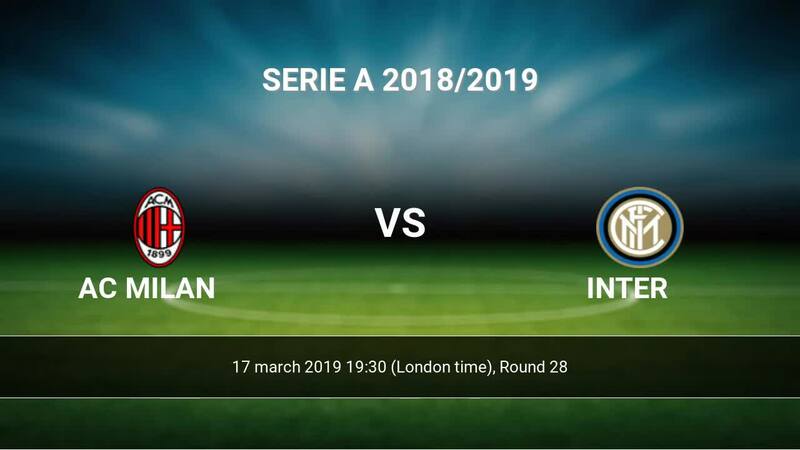 Match AC Milan-Inter Serie A the fixture is set to kick-off today 19:30 on San Siro. Refereee Marco Guida. Team AC Milan is at the top place in the table (3 place). AC Milan in 5 last matches (league + cup) have collected15 points. AC Milan has not been defeated from 10 matches. The best players AC Milan in Serie A, who scored the most goals for the club: Gonzalo Higuain 6 goals, Krzystof Piatek 6 goals, Suso 5 goals. Most goals developed: Gonzalo Higuain 1 assists, Suso 8 assists. Team Inter is at the top place in the table (4 place). In 5 last games (league + cup) Inter get 10 points. From 2 matches away can't win a match. In this season games Serie A the most goals scored players: Mauro Icardi 9 goals, Lautaro Martinez 5 goals, Ivan Perisic 4 goals. They will have to be well guarded by defense AC Milan. Most assists in the club have: Mauro Icardi 2 assists, Lautaro Martinez 1 assists, Ivan Perisic 3 assists. Injured players Inter: Sime Vrsaljko, Mauro Icardi, Radja Nainggolan. 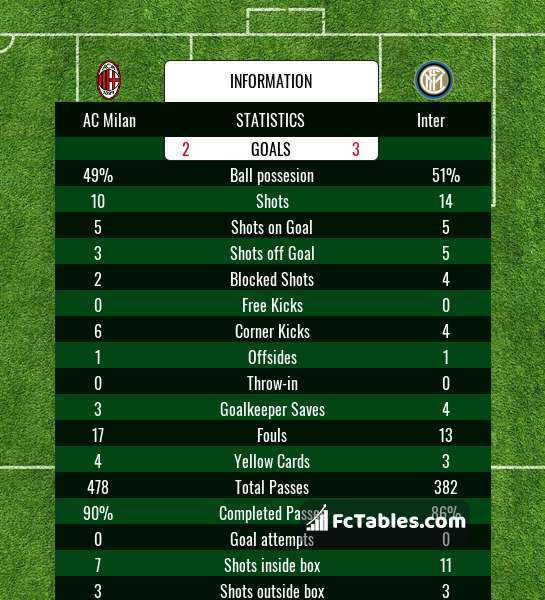 Direct matches: AC Milan won more direct matches. 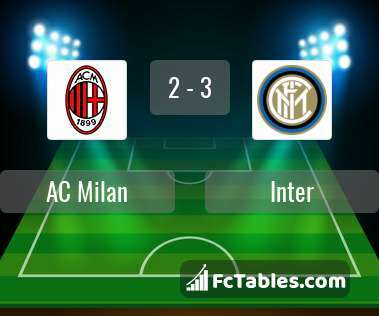 AC Milan won 22 matches , Inter won 19 direct matches, was a 11 draws. In 23 matches the sum of the goals both teams was greater than 2.5 (Over 2.5), and 29 matches teams scored more than 1.5 goals (Over 1.5). In 21 matches the both teams scored a least one goal (Both teams to score).